Health-care reform passed the House with just one GOP vote, and the fetishists of bipartisanship are clucking. But Paul Begala says after the bipartisan march to war in Iraq and other disasters, the Democrats are making a smart bet. Health-care reform passed the House with just one GOP vote, and the fetishists of bipartisanship are clucking. But Paul Begala says that after the bipartisan march to war in Iraq and other disasters, the Democrats are making a smart bet. Led by the unshakeable Nancy Pelosi, whose grace in the face of bitter and sometimes sexist attacks is truly admirable, congressional Democrats are showing rare courage in passing major health-care reform legislation in the face of implacable partisan opposition. History suggests they’re making a smart bet. One lonely Republican, Joseph Cao, voted Yea. And Mr. Cao represents a district in New Orleans in which Barack Obama got 75 percent of the vote. The fetishists of bipartisanship are clucking, but I am clapping. The price of bipartisanship on the president’s stimulus package was steep. In order to get the vote of Sen. Susan Collins (R-ME), Democrats trimmed $83 billion in badly needed stimulus, including eliminating $19.5 billion in school-construction funding. “I was very concerned about the precedent of establishing a new federal program for school construction because historically that has been the responsibility of state and local governments,” Collins said. I don’t shed a tear for the loss of bipartisanship. This is not 1964, when Senate Republican leader Everett Dirksen rounded up votes for LBJ’s Civil Rights Act. Precisely. Most states are required to balance their budgets, and most cities were so strapped for cash they were laying off cops and firefighters. The price of Collins’ vote, according to the Bureau of Labor Statistics, was upward of 400,000 jobs. • Matthew Yglesias: The Next Battle for Health Care• Sally Denton: Next Stop, the Senate• Conor Friedersdorf: The Holes in Health ReformSo I don’t shed a tear for the loss of bipartisanship. This is not 1964, when Senate Republican leader Everett Dirksen rounded up votes for LBJ’s Civil Rights Act. This is more like 1993, when President Clinton’s economic strategy became the first piece of major legislation in modern history to pass without a single vote from the party opposite. For those of you keeping score at home, the Clinton economic program spurred the creation of 23 million jobs, shrank the federal workforce to its smallest size since JFK's presidency, balanced the budget, produced a record surplus, raised median income by an inflation-adjusted $6,338 per year, and lifted 7 million people out of poverty. And Democratic economics also brought the unemployment rate down to 4 percent. Wow. I guess he means the freedom of insurance companies to dump you when you get sick, or exclude you for a “pre-existing condition,” or jack up your rates if you’re a woman, or discriminate against you as you get older. Referring to the health-care reform bill, Rep. Virginia Foxx (R-NC) did her best impression of Glenn Beck (without the tears; one presumes Ms. Foxx is considerably tougher than the weepy Mr. Beck), saying, “I believe we have more to fear from the potential of that bill passing than we do from any terrorist right now in any country.” That’s a little over the top—even for a hyperbolist like me. As someone who lost friends on 9/11, as someone who was driving past the Pentagon when that plane hit, who felt the shock wave of the explosion, I should be offended. But lately I’ve been taking my cues from Elvis Costello: I used to be disgusted, but now I try to be amused. Obviously, passing major laws with bipartisan support is preferable. But not always. Twenty-eight House Democrats and 12 Senate Democrats voted for the Bush tax cut in 2001. Coupled with the 2003 Bush tax cuts, which also had some Democratic support, that vote ran up $2.5 trillion in debt. And for what? They didn’t create jobs or reduce poverty or raise incomes for the middle class. In fact, median income fell by about $2,000 per family. Sure, the Bush tax cuts were bipartisan. But they were disastrous policy. And who can ever forget the bipartisan march to war in Iraq? That was bipartisanship at its worst. Had more Democrats either had the courage of their convictions or the wisdom of Teddy Kennedy, Paul Wellstone, and Robert Byrd, we might not have lost more than 4,000 heroes and spent $2 trillion invading, conquering, and occupying a country that was no threat to us. Reporters say Democrats are nervous. They didn’t look that way to me. Bill Owens, the newest congressman, defeated Sarah Palin’s conservative candidate last week in a New York district that hadn’t elected a Democratic congressman in 157 years. He did it in part by attacking the Bush-Republican economic policies of handouts for the wealthy and hammering the middle class. Owens said he wants to see greater assistance for small businesses and protections for his local forestry and paper-products industry, but at the end of the day he did not flinch. Neither should the rest of the Democratic Party. 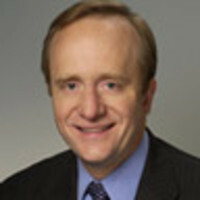 Paul Begala is a CNN political contributor and a research professor at Georgetown University's Public Policy Institute. He was a senior strategist for the 1992 Clinton-Gore campaign and served as counselor to President Clinton in the White House.